A dream he could fulfill as he turned out to be the winner of the charity sweepstake held by Ronaldinho in favor of the Ronaldinho Foundation. He told us, laughing, he still believes it was all a dream, but when he pinches himself and sees the pictures and videos he took of the moment, he realizes it was all very real. 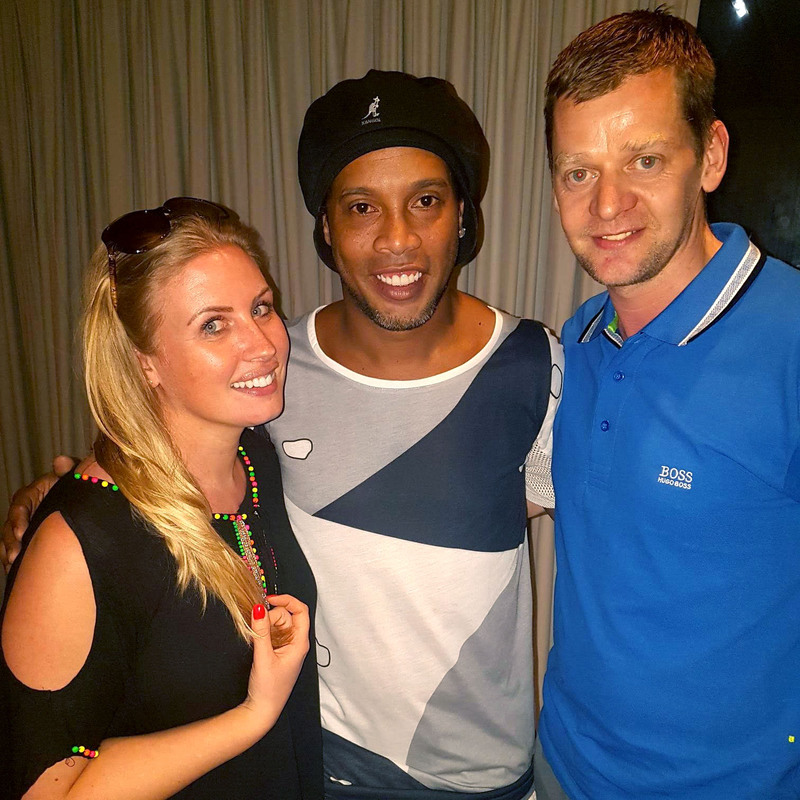 How was the experience in Rio de Janeiro and the day you met Ronaldinho? It was a mind-blowing experience, from the places I visited to the big day in which I met Ronaldinho. Everything was perfect, and he was such a gentleman taking care of my wife and myself at all times so we would feel comfortable and we had everything we needed. What can you tell us about the time you shared with Ronaldinho? We talked and enjoyed the day until the early hours of the morning together with his family and friends. They made us feel part of the group. Ronaldinho even started to sing and play instruments. We also watched the Barça-Chelsea together on TV!! Everything was so surreal! Hahah. When I used to see Ronaldinho on TV or in pictures, I saw him smiling and I always thought it was because of the cameras, but that´s not the truth. He was smiling all day long, and came to check if were all right or needed anything.